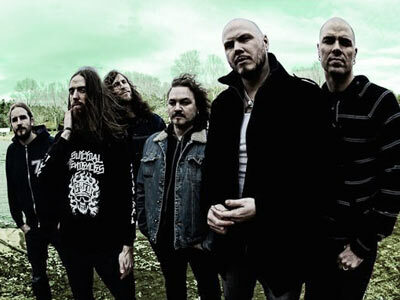 Soilwork Biography, Discography, Music News on 100 XR - The Net's #1 Rock Station!!! 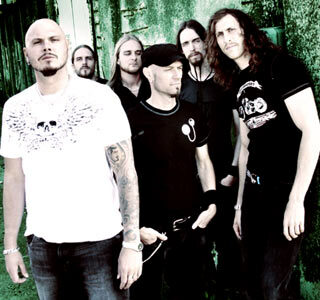 Helsingborg, SWEDEN-based Soilwork got their start in 1995, with the name Inferior Breed; the line-up for that time was vocalist Björn 'Speed' Strid, guitarists Peter Wichers, Ludvig Svartz and Mattias Nilsson, Carl-Gustav Döös on bass and drummer Jimmy Persson. Before they could record a disc, their early line-up was shaken up by the departure of bassist Döös. To record the 5-track demo, "In Dreams We Fall Into The Eternal Lake", Wichers decided to handle the bass parts himself. Mattias Nilsson then left the crew. The EP quickly attracted the attention of various record labels, including the fledgling French label known as Listenable Records, which signed the band. 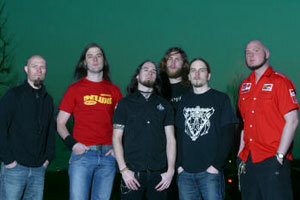 After adding keyboardist Carlos Holmberg and bassist Ola Flink they changed the name to Soilwork. "Steelbath Suicide", the band's official debut, saw the light of day in 1998 and immediately caused a major positive stir in the Metal underground. The following year, after new changes in the formation, guitarist Ola Freening replaced Svartz and drummer Henry Ranta replaced Persson, Soilwork released its second LP, "The Chainheart Machine". In February 2001, the Swedish metallers put out their third album, the first on Nuclear Blast, "A Predator's Portrait"; the record hit the Metal scene with ferocity, capitalizing on the songwriting strengths and diverse musicianship of the band and taking fans and critics by surprise. Highlights for the band that year included their performance at Wacken Open Air in front of more than 20,000 fans, as well as their first-ever American appearance at the Milwaukee Metalfest. Soon after Holmberg left the band and was replaced by keyboardist Sven Karlsson. Hitting a potent blend of aggression and melody, Soilwork stepped it up like pros for the critically acclaimed "Natural Born Chaos"; released in 2002, this highly successful release landed the band's first American tour supporting Killswitch Engage. Never slowing down, Soilwork birthed "Figure Number Five" in the following year; yet another step ahead for the Swedes, this potent piece of energetic Metal led to two more massive American tours alongside acts such as Chimaira, In Flames and As I Lay Dying. After a few years of line-up stability, Henry Ranta left just after the album was released saying he was burned out; Dirk Verbeuren was subsequently hired as a permanent drummer. In March 2005 the sextet returned with their sixth full-length disc "Stabbing The Drama", it stormed the Scandinavian top 20 charts and peaked at #21 on the Billboard's Top Independent Albums chart. That fall longtime guitarist and founding member Peter Wichers left to pursue a career in producing. After some rigorous auditioning, a suitable replacement was found in guitarist Daniel Antonsson. With a strong line-up in place once again, Soilwork began writing material for what would become their next album, "Sworn To A Great Divide". Trailed by the single "Exile", the CD sold well in North Europe and reached #148 on the American Billboard Top 200 chart. The combo's eighth studio album, "The Panic Broadcast", arrived in July 2010, the disc marked the return of guitarist and founding member Peter Wichers and the entrance of new guitarist Sylvain Coudret replacing Frenning. It debuted at #7 on the U.S. Independent Albums chart and peaked at #88 on the all-genre Billboard 200. Highlights on the album include two videos/singles, "Deliverance Is Mine" and "Let This River Flow".